Welcome to Paper Crafting World and Cooking With Cricut’s Home Décor Blog Hop! Our Design Teams are so excited to bring you a two-day hop that focuses on projects for your home – that’s right no cards or scrapbook layouts in this hop! You should have arrived here from visiting Jaime at Scrap Queen. If you’ve joined us in mid-Hop and would like to check out all the other fantastic projects head on over to Cooking with Cricut to start at the beginning. For you viewing pleasure, I am sharing an altered box that I created for this month's swap on my blog. We are to create flowers and alter a container for them to be housed in. It's based on the color palette of the month. This was a wonderful challenge for me. I combined a lot of different elements to create the box. I really hope my swap partner loves her box. I'll add pictures of the flowers that I have included in the box a little later this week. We hope you’ll link up your Home Décor project for a chance at winning one of our giveaways. One winner will be chosen by random draw and three others will be selected by the Design Teams. Head on over to Cooking With Cricut for the guidelines and to link up. Thanks for stopping by! Head on over and check out what Linsey at Outside the Lines has cooked up! Remember, I love you and there ain't nothing you can do about it. This is beautiful, Christel! How could she not love it? The details are amazing and I can't wait to see the flowers you made. Oh my goodness GF! This box is beautiful! You did an amazing job! I wish I was your SWAP partner...lol! All the details are fabulous! Great job! Christel, this is so very pretty! I love to decorate with cute little boxes like this. Great job! Very pretty box. I am sure the person you are giving it to will love it. Thanks for sharing. The rose looks so realistic! What a beautifully feminine box! Beautiful box. Love the colors! This is just gorgeous. I love the colors and all the many details you have here. I look forward to seeing the details of your flowers. Your box is beautiful. I love all of your details. I think we should do a swap:) TFS! You did an amazing job!It's Beautiful!TFS...Love the flowers! Two words- Stunning and gorgeous!!!!!!!!!!! Beautifully done!!! The recipient is one lucky lady!!! I LOVE this Christel!! I know your swap partner will love it too!!! Your flowers are absolutely beautiful Christel. You did an awesome job. Great coloring on the edges and I like the glossy look. The yellow really pops on that lovely blue color too. What a lovely creation! Really beautiful keepsake box! What a sweet box. I like the embellishes. Wow....what an amazing box and lovely design! 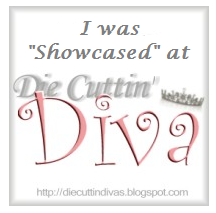 Thanks for sharing and thank you for taking time to stop by my blog and comment!